In times of crisis, we can help. 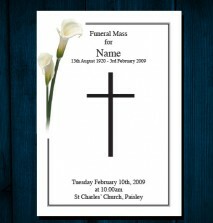 Here at Soapbox Design, we have designed and printed Funeral Orders of Service, which range from traditional to modern designs, for many years now. 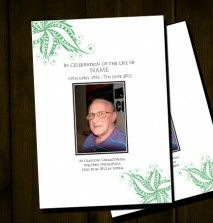 We understand that this is hard time for you and we do our best to make sure that this part of the process of organising a funeral is as easy as possible for you. 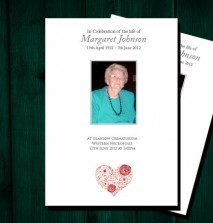 The order of service needs to reflect the person and be of a quality that you are happy with. 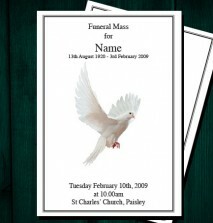 Please do not think that you need to design your Funeral Order of Service, our designers are happy to help, and with a number of pre designed templates it is easy to choose and taylor one to suit your needs. 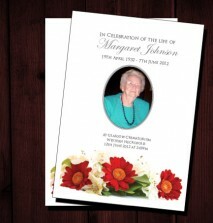 We can turn around your Funeral Order of Service quickly. 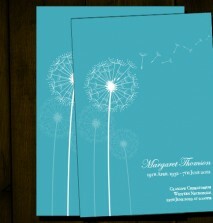 Please supply us with a Word document that includes your content (in an electronic format where possible), and also give us the pictures you want to use, again preferably in an electronic format that you would like incorporated into your design. 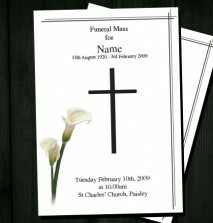 If you are struggling to get the wording into the proper format for your Funeral Order of Service, we can assist you with the layout. 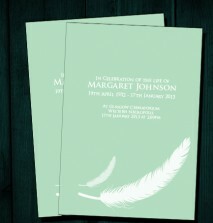 Our designers can help you with the design, setting up all the text for you (if provided in a digital format) and scanning the pictures you would like to use in your order of service. 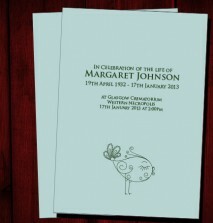 You can also select your choice of Funeral Order of Service from one of our pre-designed layouts, or a more bespoke design is available from £29. 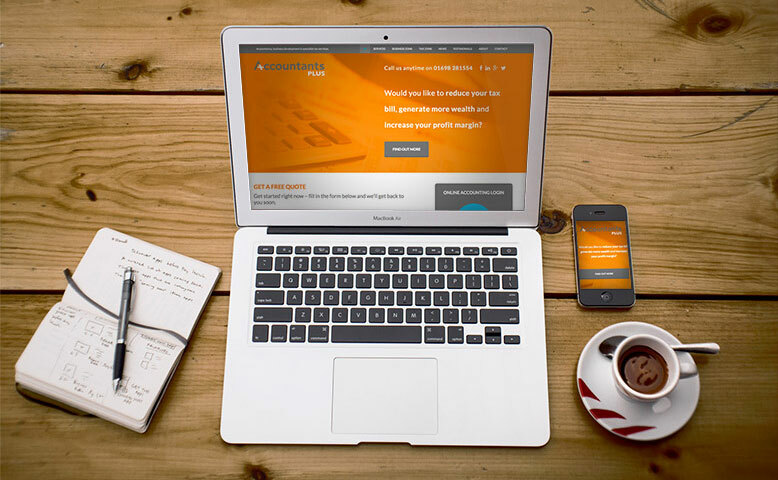 With stores in Glasgow North, Glasgow South and Paisley, we’re always nearby to assist. 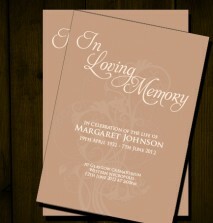 Be rest assured, our designers will work with you to produce a Funeral Order of Service that celebrates your loved one’s life.